A thriving Amble business has been given the go-ahead to expand its offering by opening as a bar in the evenings. The Sand Bar, on Leazes Street, has been open since May and is currently rated as the number one restaurant in the town on TripAdvisor and second in the whole of Northumberland. The business has been operating as a breakfast bar and café, but owner Michael Ashurst now plans to open in the evenings, Thursday to Sunday, as a cocktail, gin and dessert bar – ‘again trying to tap in a niche because Amble doesn’t have anything like that’. And last Thursday (September 27), he was granted a licence to sell alcohol from 10am to midnight, seven days a week, and for live music from 5pm to 11pm each day at a Northumberland County Council licensing hearing. However, while the business is proving popular, it is located on a residential street between two houses and the licence application had sparked two objections on the grounds of public nuisance from neighbouring residents, neither of whom attended the hearing. Mr Ashurst said: “It’s just a small premises, I don’t intend to have live events every week, but it just gives me the option. “I’m very aware of the residents, we have recorded music at the moment, but it’s not loud as it’s a café. “It’s crucial to my business to be able to open on an evening and serve alcohol. I will do everything to ensure I work with the residents so no one gets upset. One of the objections referred to the lane at the back with the landowner saying she ‘didn’t relish strange people wandering out and using my land as a toilet’, but Mr Ashurst offered assurances that nobody would be going out the back. 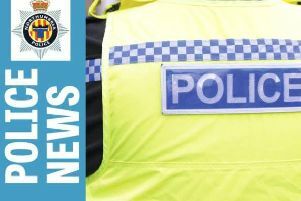 The hearing also heard that a number of additional conditions had been agreed following discussions with Northumbria Police and the council’s environmental protection team, including the installation of CCTV and measures to limit noise. Granting the licence, the chairman, Coun Ian Hutchinson, said there were ‘major concerns’ over the potential for noise and warned Mr Ashurst to adhere to the conditions of the licence.